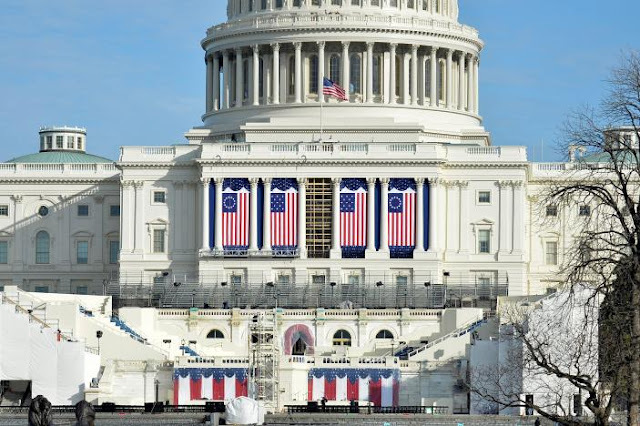 Donald Trump's inauguration to the office of President of the United States will be live-streamed globally from Washington D.C. at 12pm local time (5pm GMT) on Friday 20 January via several websites and social media services. Twitter and YouTube will each serve as platforms through which various media outlets will broadcast the inaugural address, which is expected to draw tens of millions of global viewers. It is also certain that we will then be able to watch the event behind time as copies begin circulating pretty much everywhere online; including through social media, which will, as always, make it very easy to access. Many are excited for the event. Performers appearing will include the Rockettes and singer Tim Rushlow. There has also been a lot of speculation regarding what Trump might say during his inaugural address; accompanied by various online memes relating to a photograph of the President-elect writing the speech (as could be expected). If social media hasn't revolutionised the way politics works, it can at least be said to have taken it into new frontiers. Twitter was integral to Donald Trump's campaign. It has given us a direct line to the apparently spontaneous thoughts of the President-elect; offering, ostensibly at least, an unprecedented degree of transparency in some respects. Come Friday, in the same vein (and as has been the case before), live streaming has widened the scope by which we can encounter it. Unfortunately, though, despite a visit to Trump Tower on 13 December, Billboard.com reports that Kanye West will not be performing at the event because, in the words of Tom Barrack, chair of the Presidential Inaugural Committee, organisers want to keep it 'typically and traditionally American.' Now that's a shame.